Diane Muse has lots of responsibilities making sure that things run smoothly at the Quilt & Surface Design Symposium. 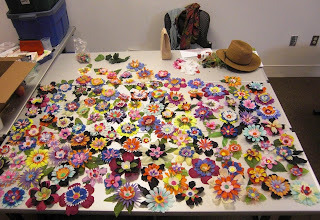 If you are surrounded by students making various forms of fiber art, the urge to do something creative cannot be denied. 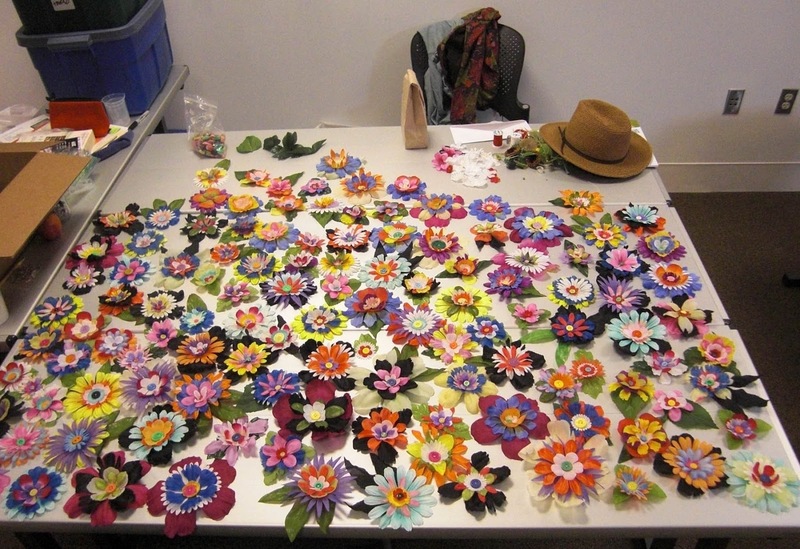 In her little bits of free time, Diane tore apart bunches of fabric flowers, reassembled them into new, much more fabulous button-centered flowers. They are destined to end up on costumes for her daughter’s band. So what have the rest of us done with our bits of free time this week?